That would be Blue Bell pistachio and almonds. I love its crunchiness. Can I say a sleepy bird. I want to go to bed early and wake up late. Hmm, I guess that’s a problem! I consider myself adventurous and would try anything once as long as it isn’t moving. So no moving food for me. Definitely peanut M&M’s. I can almost convince myself that they’re good for me. I had no idea. Nothing seemed as exciting as daydreaming. Those daydreams did include actress and singer, though. Funny enough, being an author never seemed an option. A vacation to New Zeland. I want to go there SO bad! I can enjoy both, but I do like the way my hardbacks look on the shelves. Daughter of Smoke and Bone. I absolutely love that book. Yes! 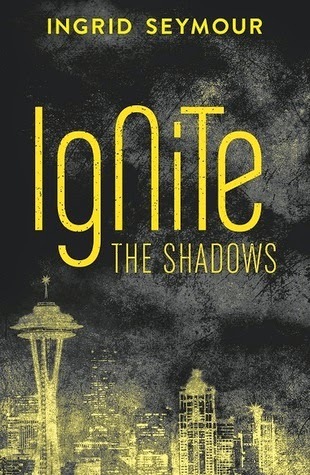 I have finished the sequel to Ignite the Shadows and have an idea for another YA Sci-Fi novel that is begging me to commit it to paper. I can’t wait. 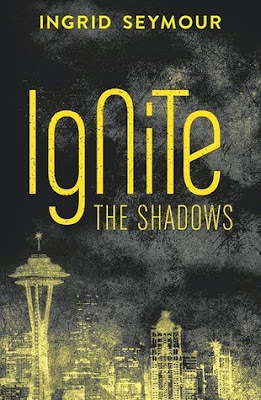 Ingrid Seymour is the author of IGNITE THE SHADOWS (Harper Voyager, April 23rd, 2015). When she’s not writing books, she spends her time working as a software engineer, cooking exotic recipes, hanging out with her family and working out. 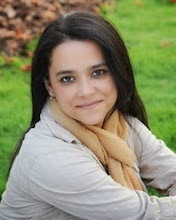 She writes young adult and new adult fiction in a variety of genres, including Sci-Fi, urban fantasy, romance, paranormal and horror.